If you are interested in learning more about the Khmer people, Cambodian history, the Killing Fields, sexual exploitation, and human trafficking, we would highly recommend starting by watching and reading these resources. These books and films will provide you with a platform to make a difference in the lives of Cambodians and victims of sexual exploitation. For years now I have maintained that to understand and know the Khmer (as much as any western person can) we need to understand the Killing Fields. There are many supposedly experienced people who disagree. We are told we must look forward and not be concerned with the past and what is rapidly becoming history. I have always totally disagreed with this. Cambodia is a nation of people who have known great trauma. They have had no process of healing, no national grieving, and no acknowledgement of the pain. The victims live among the perpetrators and all is swept under the carpet. How can a country re-build? The many issues facing Cambodia today can be overwhelming. It is difficult to even begin to understand the complexities of Cambodia’s history and the issues it faces, but the pursuit is also rewarding and fascinating. 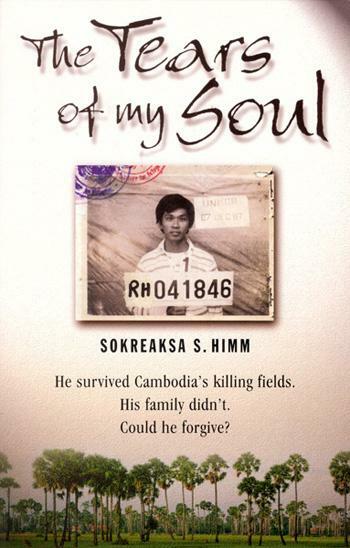 We hope these resources will help you encounter the history and culture of Cambodia – a nation still very much affected by the trauma of its past – and guide you through the despair and pain of Cambodia’s exploited and enslaved, showing you hope along the way. If you would like to know how you can purchase your own copies, or have any questions regarding any of the books, films, or issues addressed in these resources, please contact us.